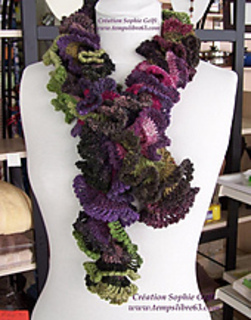 This scarf is very easy and fun to make. 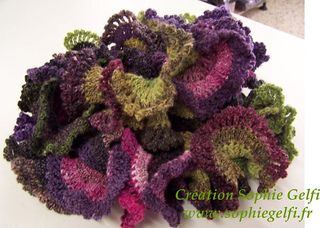 A lot of variations are possible depending the colors you’ll chose for each motifs , and also changing the yarn weight. A thinner yarn will need just one more rows.